In today's world of Agile and DevOps, Jenkins has become an indispensable tool for both Java programmers and DevOps engineers. Jenkins allows you to set up continuous integration (CI) and continuous deployment (CD) pipeline, which reduces risk on Software development and delivery. This means hassle-free development and deployment. It also means quicker feedback because as soon as a commit has been made into a source control system like Git, Jenkins can start building artifacts and running unit tests. If the build failed due to an issue or if a unit test doesn't pass, you will receive an email instantly. This quick feedback loop ensures that your codebase remains error free. It is also one of the most compelling technologies of the last decade in terms of its disruption to software development and operational practices. Many people believe that Jenkins started the DevOps revolution by offering Continous Integration and Continuous Deployment. The Jenkins Continuous Integration solution has become a standby in organizations of all sizes that want to increase productivity and streamline software development in the era of Agile. It has extensive community support has the extended the core functionality of Jenkins by developing thousands of useful plugins. 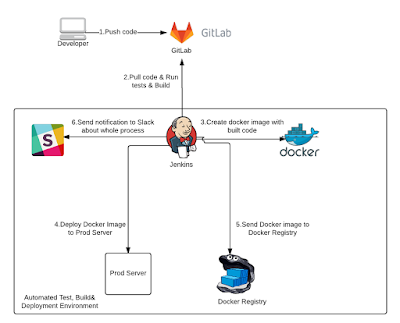 An ecosystem of more than 1,100 plug-ins has emerged, enabling customers to add all sorts of functionality and integrate Jenkins with everything from Active Directory to GitHub to Tomcat. 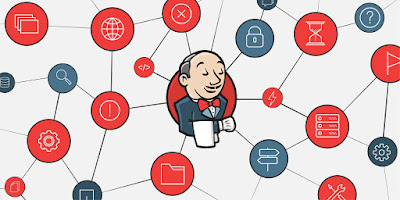 Jenkins is also becoming a must-have tool for DevOps. It allows companies to build very sophisticated build pipelines very quickly, thus greatly reducing the risk within the software development lifecycle. Tons of companies have already been using Jenkins to implement continuous integration pipeline. Today you have the access to that same technology right on your desktop. Without any further ado, here is my list of some of the best Jenkins courses for Java Programmers and DevOps engineers. Both junior and senior programmers can benefit from these courses. I have paid attention to choosing only hands-on courses which not only teach you theory but more importantly how they are used in the real world. This course covers all the fundamentals about Jenkins and teaches you everything you need to know to set up a Jenkins build pipeline starting with continuous inspection (build, test and static analysis) all the way to continuous deployment(deploy to staging and production). This is a comprehensive course designed to show how to set up and run a Jenkins CI server starting with continuous inspection (build, test and analysis) all the way through to continuous deployment. This course provides a strong foundation for implementing continuous inspection, continuous integration, continuous delivery, and even continuous deployment at your company or studio. This is another great Jenkins course for both developers and DevOps people using Java or .NET. In this course you will learn about CI and why it is important, what is Jenkins, how to build an automated CI pipeline with Jenkins, how to version control and manage relational database schema etc. You will also know to run the CI pipeline to maintain build artifacts, configure, secure and extend Jenkins, configure automated build notifications, and Integrate CI builds with Git repositories hosted in GitHub. Overall a complete course to learn Jenkins and Continuous Integration. This course will teach you how to use Jenkins using the Jenkins DSL and Jenkins Pipelines (Jenkins file). It's a new way of using Jenkins, rather than using freestyle projects. I call it using Jenkins, the DevOps way! I'll explain you about infrastructure as code and automation to make sure you understand how Jenkins Pipelines fits within this new way of thinking. 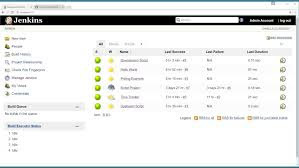 Docker, GitHub / Bitbucket, JFrog Artifactory, SonarQube, Onelogin (Using SAML) etc. If you're looking for a job in the DevOps space, Jenkins is a must-have skill, and this course provides all the information you need to start your DevOps journey. This is a great beginner's course designed to show how to set up and runs a Jenkins CI server starting with continuous inspection (build, test and analysis) and how to automate much of the build and deployment process using Jenkins. I am a big fan of the teaching style of instructor John Sonmez as he has a knack for explaining the complex topic and simple words and including the details which matter. This course provides a strong foundation for implementing continuous integration and delivery at your company or studio. I recommend this to beginners, who are starting with Jenkins first time. Another important thing to mention about this course is that you need a Pluralsight membership to access this course, which cost around $299 per year or $29 per month, but thankfully, Pluralsight is running a flash offer now which gives you $100 discount on annual membership (the offer can expire anytime, so please check if see the correct price). This makes it even cheaper than NetFlix subscription and why not it's after all Netflix for Software developers. The Pluarlsight membership provides access to more than 6000 courses on latest technologies. As per my experience, it is the best way to keep yourself up-to-date with constant changes in the software development world. And last but not the least, Pluralsight also provides a 10-day free trial without any obligation which means you can access this course for FREE by just signing for their free trial. That's all about some of the best online training courses to learn Jenkins and Continous Integration. If you are a senior Java developer with more than 5 years of experience then learning Jenkins, CI, CD and other DevOps tools and frameworks can enhance your profile. It can also give your career your boost and may play an important role in your promotion in your existing job. I strongly encourage all senior Java developers to learn Jenkins, Docker and other DevOps tool this year. Thanks for reading this article so far. If you find these free Jenkins courses useful then please share with your friends and colleagues on Facebook and LinkedIn. If you have any questions or feedback then please drop a note. P. S. - If you are looking for some FREE Jenkins courses to start with, you should check out my post 5 FREE Jenkins and Maven Courses for Java developers. 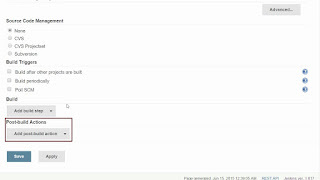 Thanks for the information :) Is there any plugin development courses for Jenkins?